“The promise is very straightforward. We give you the right to be pissed and the channel to pay it forward,” Matthew Zachary said with a defiant tinge in his voice as he describes the mission of Stupid Cancer. As the founder and CEO of the largest advocacy group serving young adults with cancer, Zachary knows all too well the burden shouldered by patients between the ages of 15 and 39 following a cancer diagnosis. Long before Stupid Cancer touched the lives of millions of people affected by the insidious disease, Zachary himself was just an ordinary college student focused on becoming a concert pianist and composer. His journey began with the curious loss of functionality in his left hand, which was followed by a trail of misdiagnoses that failed to answer why the gifted musician was suddenly unable to play the piano. After his symptoms continued to worsen, Zachary’s dreams were seemingly shattered in 1995 when, at the age of 21, he received the diagnosis that would forever alter his life and the path he would follow. Zachary was told he had medulloblastoma, and he would likely not survive more than six months. As the life Zachary had envisioned for himself became tattered and torn, he set about fighting back against cancer. However, he soon realized support networks for a 21-year-old were not only lacking, they were non-existent. “What’s less than zero? There was nothing. It was the 1990s and there was nothing,” Zachary recalled. Zachary found a loose network of list serves in the pre-internet days that left him feeling somewhat isolated as a young cancer patient who didn’t fit the mold of what a cancer patient was at the time. The group has since become a dominant voice for young adults and has a wide array of services and award winning programs that include academic research, support, outreach, awareness, podcasts, conferences, mobile health and social media. As the remaining remnants of Generation X enter their forties and leave young adulthood behind, Zachary and Stupid Cancer are focused on evolving to meet the needs of the generations of young adults to follow. “The 12-year-olds today, what are they going to want? That’s what we’re looking at,” Zachary noted. Despite the changing demographics, the group remains focused on the estimated 400,000 Americans under the age of 40 who beat cancer under the age of 13. 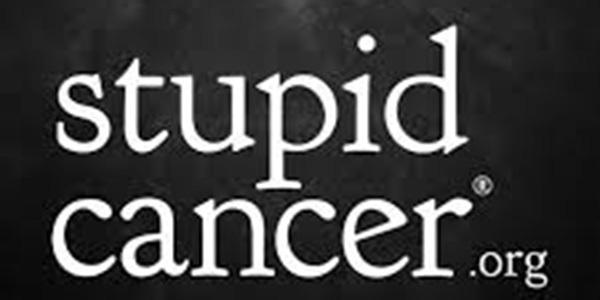 For those newly diagnosed with cancer, Zachary maintains a simple message that is at the heart of the mission of Stupid Cancer.